Rob Perrée: Nieuw licht op slavernij? Ta-Nehisi Coates – Ta-Nehisi Coates is a senior editor for The Atlantic, where he writes about culture, politics, and social issues for TheAtlantic.com and the magazine. He is the author of the memoir The Beautiful Struggle. “White folks you can have your automobiles, paved streets and lights. You can have your buses, and street cars, and hot pavement and tall buildings cause I aint got no use for em no way. I tell you what I do want—I want my old cotton bed and the moonlight shining through the willow trees, and the cool grass under my feet while I run around catching lightening bugs. I want to feel the sway of the old wagon, going down the red, dusty road, and listening to the wheels groaning as they roll along. I want to sink my teeth into that old ash cake. One of the most disturbing aspects of the long conversation about slavery is the way the “black people were happy slaves” argument has really poisoned the well. That may sound contradictory, given what I just quoted. Allow me to explain. I’ve spent the past year or two with quite a few primary sources, and the best thing, for me, has been removal of “The Argument.” I take it as given that black people, because they are human beings, generally didn’t like being slaves. I just don’t have any real doubt about it, and any questioning of that is, to me, akin Creationism. I’m just not interested. But that’s a luxury that I enjoy in 2010. For years black and white scholars had to make the argument, and as sure as there are weighty tomes outlining evolution, there are whole histories that had to be written outlining what should be taken as basic facts of humanity—that black people, in the main, did not enjoy being property. That black people, in the main, did not enjoy living under a whip. That black people, in the main, did not enjoy the prospect of someone selling off their families. 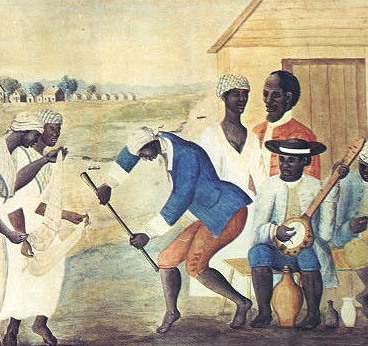 That black people, in the main, had been fight a long, cold war against slavery centuries before the Civil War. Having said that, I think that just as the photography of the Civil War is interesting from an artistic perspective, the oral histories of slavery are interesting to me from a literary perspective. Looking at them as literature—and the recollection of specific individuals, not agitprop for anything—I’m never surprised to come across black people saying that they liked being slaves. Indeed, that’s part of being human too, not being part of a broad mass. It’s also part of the fact that slavery differed, as all things differ. It’s funny. I read this to Kenyatta last night, because I thought the phrasing was so beautiful and evocative. I really felt Clara’s longing for the Old South. But she (Kenyatta) was just utterly horrified of the idea of anyone longing for slavery. I don’t know. I think it’s beautiful. Not pleasing. Beautiful.